Alex Bowman put a familiar car on top of the Daytona 500 leaderboard. Bowman won the pole for "The Great American Race" in his debut as the official driver of the No. 88 Chevrolet, which Dale Earnhardt Jr. drove before retiring at the end of last season. With Earnhardt retired, the empty seat in the No. 88 went to Bowman, and he wasted no time making the Camaro his own. 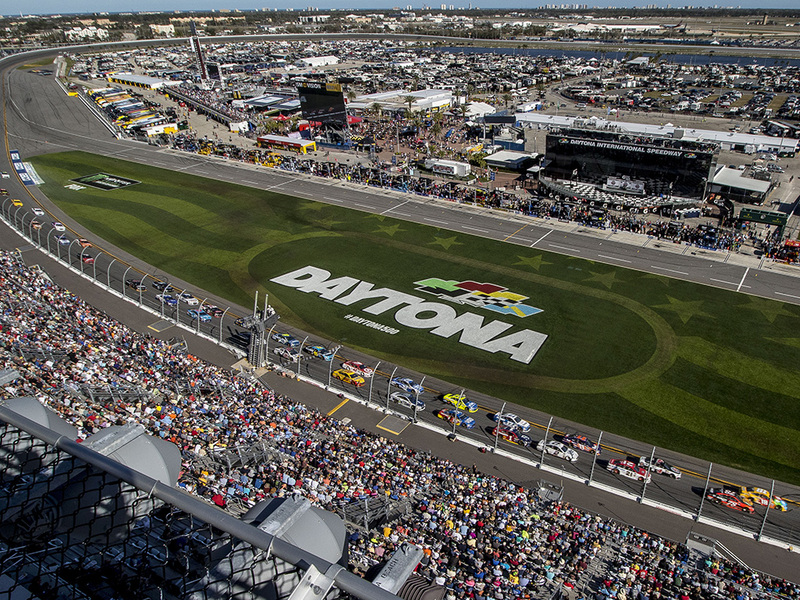 Bowman turned a lap at 195.644 mph Sunday to earn the top starting spot for the Daytona 500. "I think it's still a little surreal," said Bowman, who will race in his second Daytona 500. "It's a dream come true just to drive for Hendrick Motorsports. I never would have thought it would happen after the path my career took." His qualifying effort drew praise from Earnhardt via Twitter. Awesome! Great job @AlexBowman88 @TeamHendrick on the #Daytona500 pole! @Ives_Greg and the gang built a fast one. Denny Hamlin, the 2016 winner, qualified second in a Toyota for Joe Gibbs Racing with a 195.092 mph lap. Only the top two cars were locked into next Sunday's season-opening race in this round of qualifying. The rest of the field will be determined Thursday in the Can-Am Duels. The 24-year-old from Arizona impressed Rick Hendrick enough that when Earnhardt said he would retire at the end of 2017, Bowman got the job. He made his boss proud with the pole-winning run. Hendrick is now tied with Harry Ranier for the record of most consecutive Daytona 500 poles at four. Jeff Gordon won the pole in 2015, Chase Elliott won it the past two seasons, and now Bowman has the honor. de Bowman downplayed his role. "I just held the steering wheel. It's Daytona," he said. 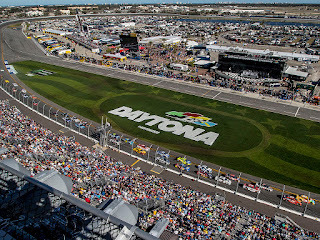 Indeed, pole qualifying is a display of horsepower, and there is no doubt that Hendrick Motorsports has it at Daytona International Speedway. "We knew we were going for the pole. That's what we're here to do," Bowman said. "I was a little nervous for that second round, but we took off well on pit road and did everything I could do. This really came down to the crew. Everybody works so hard." Bowman, who won a Cup pole while filling in for Earnhardt in 2016, raced just three times on the national level last season, two Xfinity Series races and one in the Truck series, and filled his time using a simulator as he waited for Earnhardt to retire. "I realistically set my expectations and would have been happy with 18th," Hamlin said. "This came out of the blue for me and is a great opportunity for me to win a second Daytona 500." The Toyotas were fast, though, and all four JGR entries were in the top seven Sunday. 0 Response to "Alex Bowman returns No. 88 to pole at Daytona"